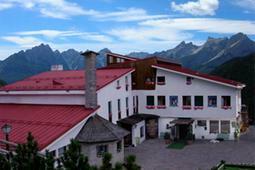 Val di Zoldo, in the district of Belluno, is an area including the municipalities of Val di Zoldo and Zoppè di Cadore. 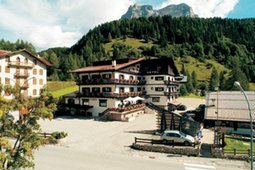 The area of the Dolomites of Zoldo, amongst which the Civetta (3.218m), the Moiazza (2.878m) and the Pelmo (3.168m) as the most important peaks, is one of the main access gates to the ski resort “Ski Civetta”. 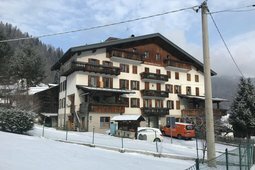 Here you will find the illuminated slopes opened also at night, the nordic skiing slopes and the polygon of biathlon, the first of the Veneto region. Beside skiing, you can also have fun hiking with the snow shoes, experiencing ski mountaineering or ice skating. In summer the more or less demanding paths of the Anello Zoldano offer many possibilities to enjoy the beauty of the wonderful and still unspoiled landscapes. 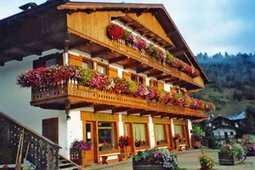 In the whole valley the beautiful “tabià”, typical buildings made of wood and stone used as barns, today are often transformed into distinctive homes destined above all for tourism. However many “tabià” are still used today for their primary function. In Val di Zoldo it is possible to visit many museums and churches, such as the Ethnographic Museum of Goima, testifying all the activities done in these areas in past centuries, from agriculture to metallurgy, from carpentry to spinning and shoe industry, and the Iron and Nail Museum, which narrates the history of the ancient profession of working the iron and manufacturing nails in the Valle di Zoldo in the past centuries. 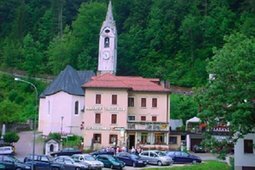 Do not miss the churches of the Valle di Zoldo, such as the Church San Floriano, the Church S.Anna and the Church S.Valentino, which shield treasures and art works of rare beauty, amongst which those of Andrea Brustolon, born in Zoldo in 1662. Beside winter and summer tourism, the Val Zoldana is bound through a long history to the ice cream. 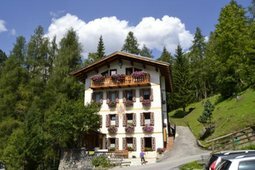 The residence Casa Ai Lali is located in the centre of Forno di Zoldo, only a few kilometers from Zoldo Alto and the ski slopes of Civetta in the immediate vicinity of bars, restaurant, shops, supermarket, post office. 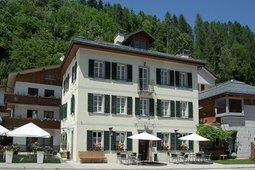 The hotel is located in Zoldo Alto, in the wonderful Valzoldana right in the heart of the picturesque Dolomites, declared a UNESCO Heritage site in 2009, and the Ski Civetta circuit, which is part of the Dolomiti Superski area. 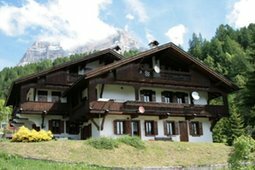 At Chalet Stella Alpina you can live a holiday in the name of pure relaxation! The apartments are simply perfect for your holidays with friends or family and each of them comes with its own sauna. 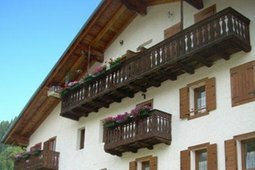 The Locanda Dormì e Disnà is situated in the historical centre of the village Fornesighe, a traditional building in wood and stone dating back to the 18th century and offers rooms and apartments. 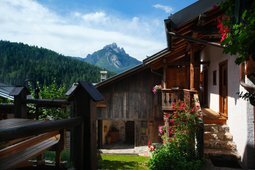 The Residence Sas de Pelf is located in the magical frame of the Dolomites, in front of the Civetta Ski district that offers skiers 80 km of slopes, a snow park and night time skiing on the Zoldo slopes. 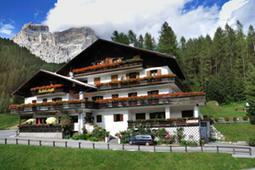 The apartments are located in a typical "barn-house" of the Zoldo valley. The building is finely decorated and equipped with every amenity. This is the right place to relax after a beautiful day on the skis or in the mountains. 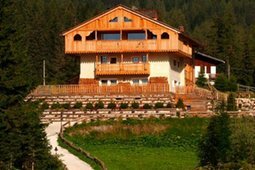 Casa Lendina is located in Pecol Alto, in the Zoldo Valley, about 250 meters from the cable way. 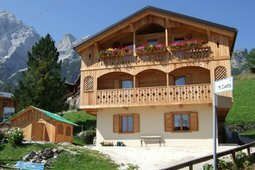 It has 4 comfortable apartments furnished in the typical mountain style. The house also has a cellar for ski equipment and a garage. 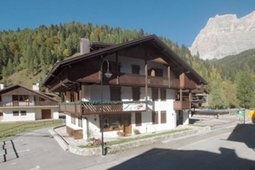 The Casa Piva is located in the heart of the Belluno Dolomites, in the Val di Zoldo (Pecol), 50m from the ski slopes of the Civetta ski area, in a central position where you can find all the useful services. 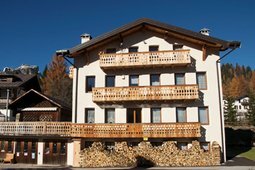 The Apartments Scarzanella are located in Pecol in a strategic position, just 300m from the cable car. 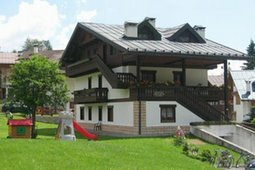 All the apartments are decorated with wooden furnishings and equipped with TV and washing machine; guests can also use a common garage and a cellar. 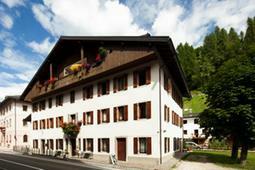 The house is situated in a very quiet and sunny and disposes of three apartments. 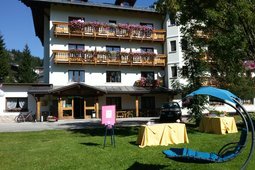 Two apartments are suitable for 2/4 people and the big apartment can accommodate 5 people. Welcome to Casa Cappeller! The house offers a comfortable apartment for 4/5 people. 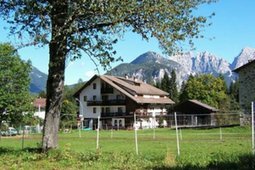 The apartment is centrally located in Zoldo Alto, surrounded by a beautiful mountain landscape to enjoy. In summer you can explore the surrounding mountains by taking long walks and hikes. 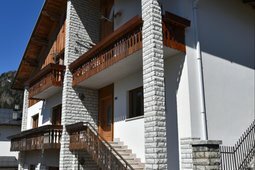 The apartments are located in the village of Pralongo, in a very tranquil yet central position only two km from Forno di Zoldo, the main town of the valley, where you can find all kinds of shops and facilities.